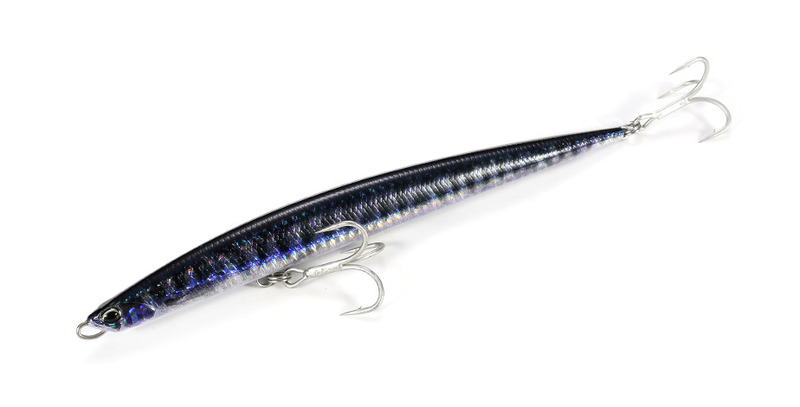 The Press Bait Saira is a slim and long-bodied jig minnow created to mimic the thin, long bait-fish sought by Tuna and other large migratory fish species. 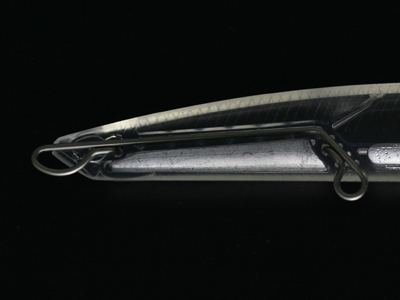 It has a unique body design, with sufficient strength and weight for use with heavy tackle. This lure has allowed new tactics for anglers fishing on or offshore. *A very small quantity of water tends to seep into the body through the internal wire system of this product. Please rinse thoroughly in water after each use. The lower section of the body has a semi-solid structure with weight filling all available space. The upper section of the body has an air-pocket for better action response. 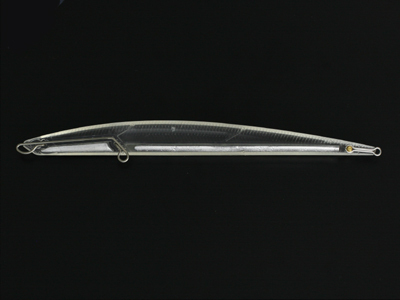 The line-eye and front hook is part of an internal wire structure, giving the lure sufficient strength to handle large fish. 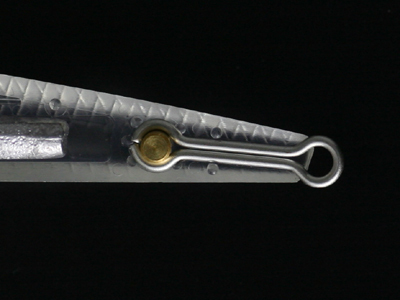 Due to internal structure considerations, we adopted a pin design for the tail hook-eye. The pin is made of brass, to make it stronger; however, please consider this hook-eye as auxiliary when targeting large predatory fish.